GVC Launches Exclusive Yggdrasil Slot Time Travel Tigers! 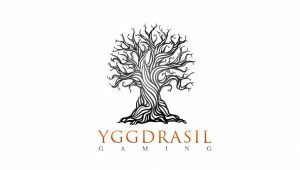 The innovative slots provider Yggdrasil has launched its latest video slot. As its title suggests, Time Travel Tigers invites you to take a journey through the history of mankind. The studio developed the white label adventure game exclusively for GVC. In fact, the giant’s brands will release this game with 5 reels and 25 paylines by the end of November. And so, players on many brands can dip into the adventure before Christmas. To sum up, a time-travelling tiger will be your companion as you spin. The original story features a genius scientist, Dr Tigerstein. He invented a time machine that takes players across ages. In fact, it’s the Free Spin modes that transport players from the ancient times up to the far future. In each era, players will find different Free Spins featuring multipliers and wild patterns. Also, players are guarantee a wild on each spin as they travel. All and all, the developer made its best to ensure engaging graphics keep the attention of the player. Besides, the audio setting of the game change in every different time-period. In general, the design makes up for a unique and captivating adventure each time the reels start to spin. Jonas Strandman, Head of Slots at Yggdrasil believes this new game offers an exciting and unique take on slots. It’s not the first time the developer designed exclusive slots for other operators. In the past, top brands like LeoVegas have also enjoyed exclusive titles from the game provider Yggdrasil.